Multi village seeds are always fun, this one is unique in that it is in an unusual location. 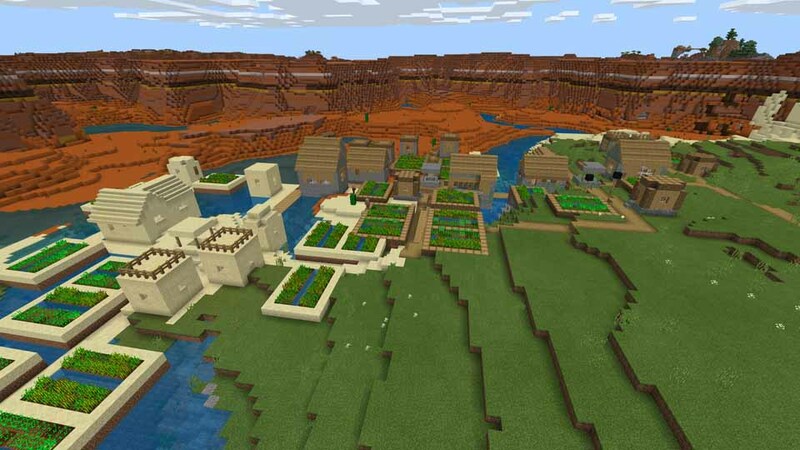 First off you have an awesome mesa biome right across the river from where the three villages spawn. There is also a mineshaft across the water in the mesa biome. The most unique aspect of this triple village seed is the fact that one of the villages is a zombie villages. These villages are quite rare in the so this is a strange seed. If you want to make something out of the villages, you will need to be quick before the zombie plague spreads to the other villagers in the nearby villages. 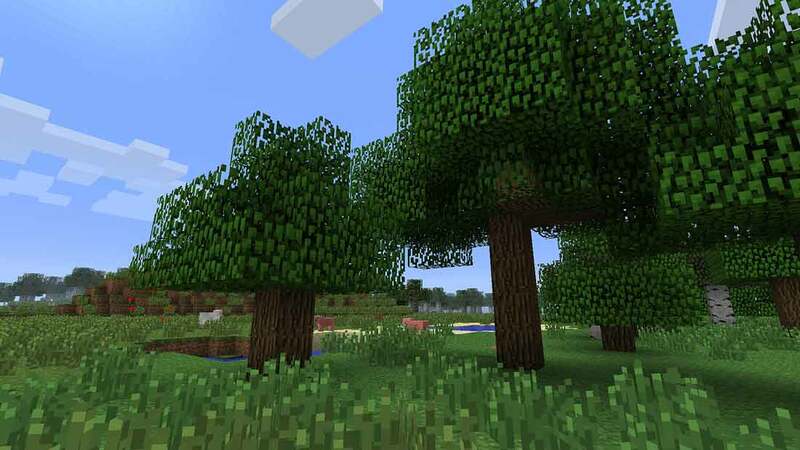 Credit: Thanks to TelepathicGrunt for discovering this seed and posting it on Reddit.